What Does the Acronym TMJ Mean? TMJ is short for temporomandibular joint and can also refer to temporomandibular joint disorder, a condition in which someone experiences various forms of pain in the jaw and surrounding areas. A dentist or other physician will diagnose TMJ with the dentist's physical exam and/or highly specialized computer equipment. This process will usually review the patient's jawbone, bite and the muscles necessary for proper alignment. What are the Common TMJ Symptoms? If you feel pain in your jaw, neck, face, shoulder or even your back, you might have TMJ. Migraine headaches and general headaches are also an indication TMJ might be present. Clicking or popping sounds in the jaw commonly occur as a result of TMJ. Limited range of jaw motion is also a sign of TMJ. Ear ringing is another common TMJ symptom. Can I Continue Living with TMJ Without any Issues? TMJ will not go away on its own. 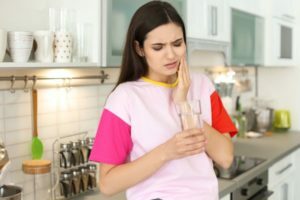 Your system will attempt to accommodate the issues associated with TMJ yet the failure to address this oral health problem will likely make it worse. TMJ that progresses will spur pain, tooth damage and even the loss of bone. Untreated TMJ will lead to joint arthritis, force the jaw to lock and likely spur invasive treatment in due time. So do not wait to obtain treatment for TMJ. If you are even slightly suspicious you have TMJ, you should meet with your dentist as soon as possible. Why do I Have TMJ? Dentists and medical professionals are still working to determine the true causes of TMJ. At this point, the medical community believes TMJ is caused by everything from trauma to flawed oral habits, health care procedures and diseases like fibromyalgia and osteoarthritis. Yet it is also possible for TMJ symptoms to arise without any clear cause. TMJ is treated with the assistance of a neuromuscular dentist. The dentist will evaluate your unique TMJ and recommend lifestyle alterations such as diet changes, avoiding caffeine, cessation of gum chewing and smoking, etc. The dentist might also recommend CPAP and oral appliances. If the TMJ is especially severe, surgery might be necessary. However, may patients obtain relief through mild medications. Proper self-care with the use of an orthotic will help create a comfortable resting position for the bite. Orthodontic treatment or permanent restorations will permanently rectify TMJ after the orthotic relieves the symptoms. In some cases, patients find relief with the use of TENS therapy. TENS is an acronym that stands for transcutaneous electrical nerve stimulation. Does Using a Mouthguard while Sleeping at Night Help Treat TMJ? Wearing a mouthguard at night might help yet there is no guarantee this approach will work. If your TMJ issues are severe, using a nighttime mouth guard will not suffice in and of itself. If your TMJ is mild, the use of a mouth guard at night will allow the jaw joints to relax. However, the mouth guard must be custom tailored for the nuances of your unique mouth. If the mouth guard does not fit exactly as it should, it might worsen the bite, heighten the pain and cause headaches. 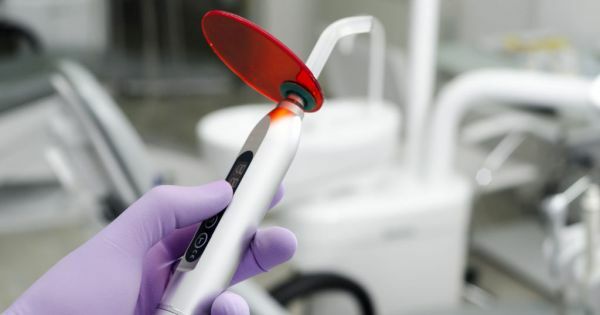 For more TMJ information or to schedule an appointment with Randal S. Elloway DDS, Inc, request an appointment in our Red Bluff dental office here: https://www.drelloway.com. Or call us at (530) 527-6777.